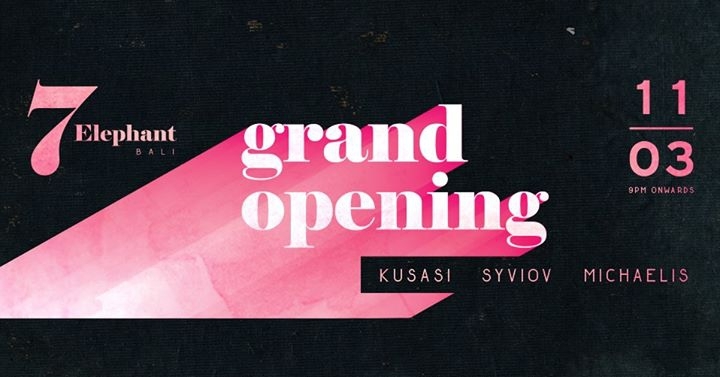 The grand opening of 7 Elephant lounge bar, next door to Sea Vu Play, Saturday, March 11. Mark your calendars for a night not to be missed, arrive to signature welcome drinks at the door and exciting things in store. Seminyak get ready!